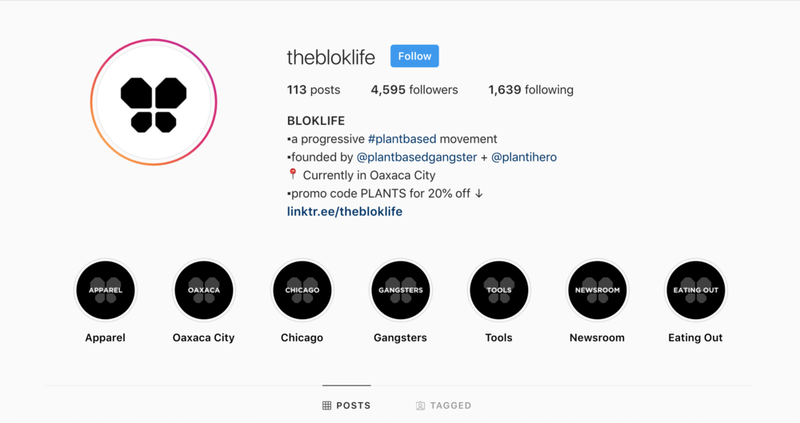 In case it wasn’t obvious already, BLOKLIFE was founded by the blokdigi team, and one of our favorite clients (insert sarcastic emoji here). The brand spawned from a passion to spread information on plant-based living. What was initially conceived as a 3-to-5 page apparel website has morphed into a 100+ page content factory for everything vegan. The blokdigi team has headed everything from website development and content creation to apparel design and Instagram growth. With BLOKLIFE being less than a year old, we’ve just gotten started. Emerging e-commerce store that is averaging $850 per month in product sales. Designed user experience and created content for a 100+ page website. BLOKLIFE set out to show that not all vegans wear rainbows and live in mud huts. The apparel’s modern, edgy monotone style has trailblazed it’s way through the vegan scene, and resulted in thousands of domestic and international product sales. Differentiating BLOKLIFE from the stereotypical vegan brand was the goal from day one. We couldn’t accomplish that without creating unique content, so that’s what we set out to do. Just google “Plant Based Gangster” and you’ll see what we mean. Formulating a keyword strategy, optimizing page titles, meta descriptions, H1’s, image meta tags, and delivering relevant frontend content has served BLOKLIFE well in terms of SEO page rank authority in just a few short months. Working with a limited budget, we had to get creative with BLOKLIFE’s Instagram growth marketing strategy. Delivering great content doesn’t equate to immediate growth, especially in the early stages. On average the brand account has been organically growing 600-800 followers every month since the growth strategy has been launched.